Last week Arkansas Attorney General Leslie Rutledge rejected a proposed constitutional amendment legalizing casinos in Arkansas. As far as we can tell, the proposal effectively would have allowed casinos in any municipality with a population greater than 20,000 people. This is not the first time efforts have been made to bring casino gambling to Arkansas. In 2005 the Arkansas Legislature passed legislation paving the way for “electronic games of skill” at Arkansas’ racetracks; these games look and function much like traditional casino games. 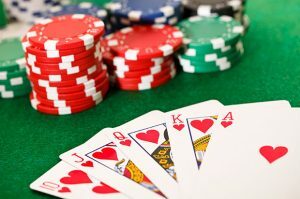 Constitutional amendments legalizing casino gambling elsewhere in Arkansas have been proposed almost every election year–including last year. And the Arkansas Lottery has tried in the past to expand its gambling operation to include casino-style games such as keno. There are no two ways about it: Gambling is a blight on the community; we have seen time and time again how it hurts families and ruins lives. That’s why we oppose any effort to expand gambling in Arkansas.